As soon as you walk in, make your way to the counter to grab a menu. If it’s packed, make your way inwards and try to make sure you get a spot in front of the chef. Your food will come quicker and you get to see it made right in front of you! For those who don’t speak Spanish, the menu is handily translated into English as well, making ordering very easy. Even in my broken Spanish, the chef was super friendly and took the time to wait for me to finish my order. I could tell he was trying to hold back a laugh so we joked about how terrible my accented Spanish was, which was actually kind of nice. Once the order was made, the food appeared in front of us in less than a few minutes. We started with the stuffed baby squid and a plate of olives. 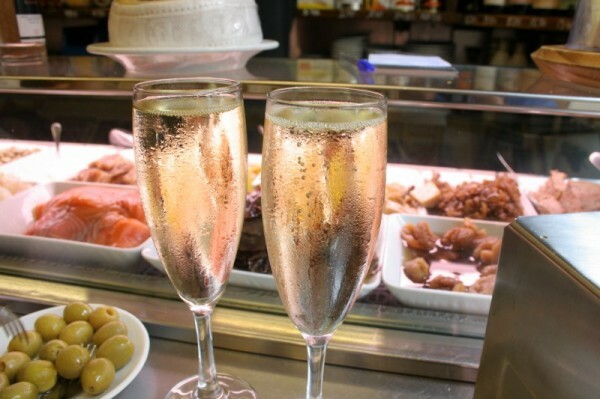 We snapped these up pretty quickly while sipping on our 2-3 euro champagne (yes, you read that right) and eagerly started on the montaditos. These little babies are like mini open faced sandwiches made up of a thick, crusty, crunchy layer of bread on the bottom with luscious ingredients piled up on top. 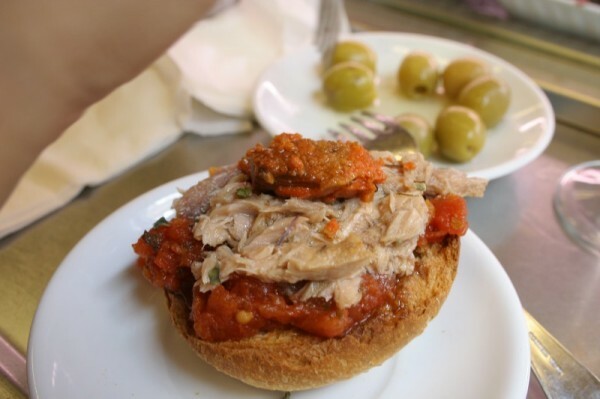 You can probably finish one montadito in a couple of bites – we were ravenous, so we ordered a couple of these guys. 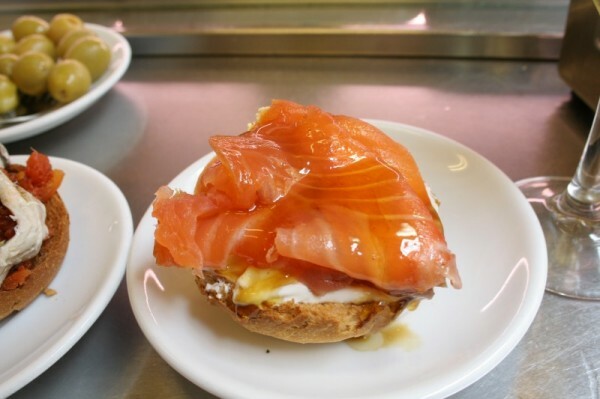 The first montadito we had here was a great introduction because the salmon was divine. Seriously. Di-vine. Slathered with yogurt and drizzled with truffled honey, it just tasted phenomenal. There’s not really any way else I can explain it. Look around you and you’ll see that almost every table will have ordered a plate. Must get. Next came the sea urchin paired with a small sardine, garnished with a stuffed olive. Both the sea urchin and the sardine were preserved and came out of a can – you might notice the color of the sea urchin as a darker orangey color as opposed to the lighter yellow observed when they are fresh. Contrary to what you might expect from traditionally canned foods, these were delicious. Big fan. Sidenote: Spain is one of the largest producers of high quality canned foods, offering some that can cost up to a small fortune to acquire. 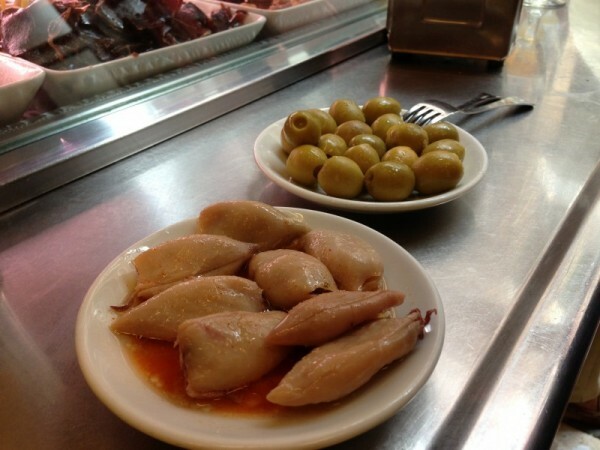 Many tapas bars frequently use these in their kitchens and are a staple in many households. The swordfish was thickly sliced, fanned out on top of a grilled red pepper with a smear of olive tapenade and a single green chili pepper on top. The fish had a bit of rubberiness to it but that just comes with swordfish territory. Because we couldn’t get enough of the sea urchin after round one, we ordered a second sea urchin montadito, this time with tuna belly. Being the fattiest, richest and most delicious part of the fish, it literally just melted in our mouths. Hugely generous serving of both main ingredients. The cockles were lightly salted and spiced and placed on top of a creamy yogurt base. More of an acquired taste but if you like shellfish and the salty taste that usually comes along with it, this is for you. 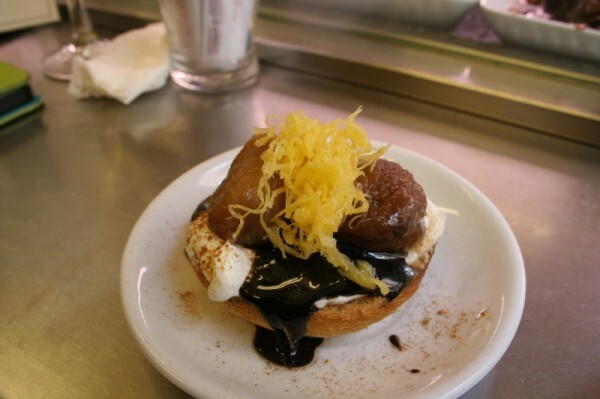 The chestnut montadito had a thick and blocky texture in the mouth while tasting both smooth and nutty at the same time. Weird, I know, but it was very good! The yogurt provided a creamy almost neutral balance to even it out while the bitter chocolate sauce lent a bit of complexity to the entire thing. 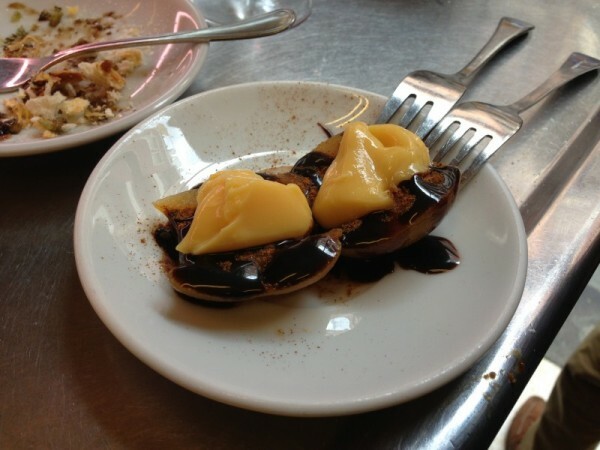 The peaches were macerated in a strong liqueur and served with dusting of cinnamon and bitter chocolate sauce. This one is really for those who enjoy that deep, fortified alcoholic taste with a hint of fruitiness. I’ll admit, I’m a lightweight and after drinking some champagne during the meal and eating this… I was tipsy. Not even kidding. 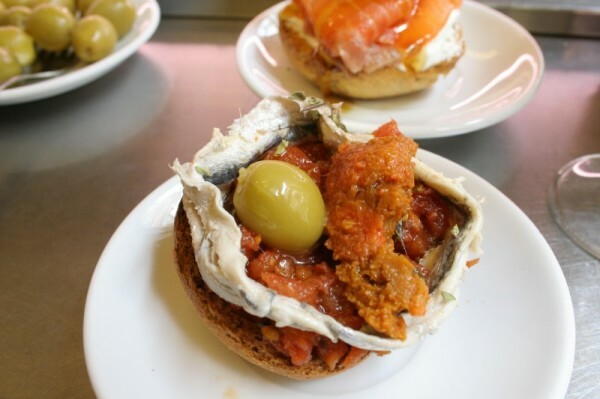 For me, this was one of the best meals we had in Barcelona. 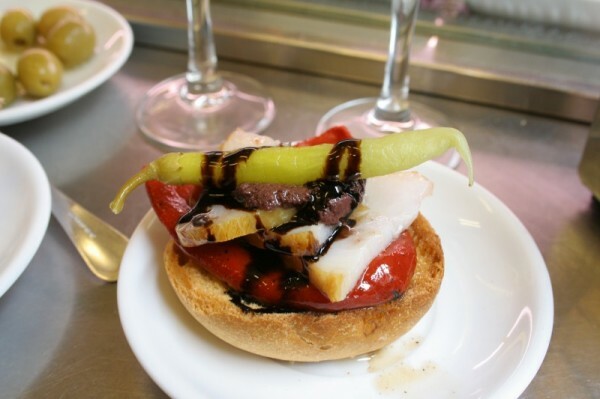 It represents the quintessential tapas bar experience. Order a little or order a lot – it’s up to you. 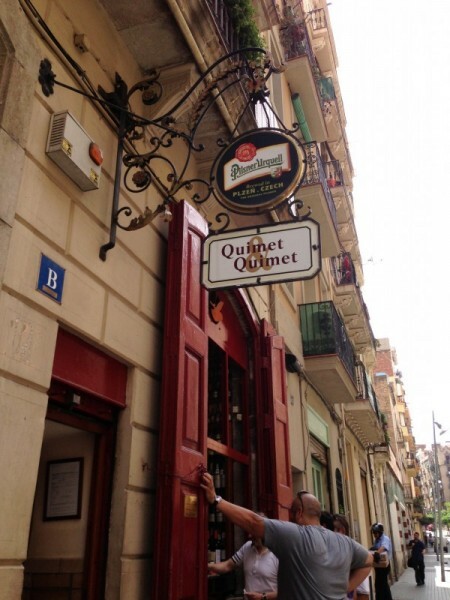 With seemingly endless options and possibilities of what your meal could look like, Quimet e Quimet serves really, really great food in a typical Barcelonian atmosphere. 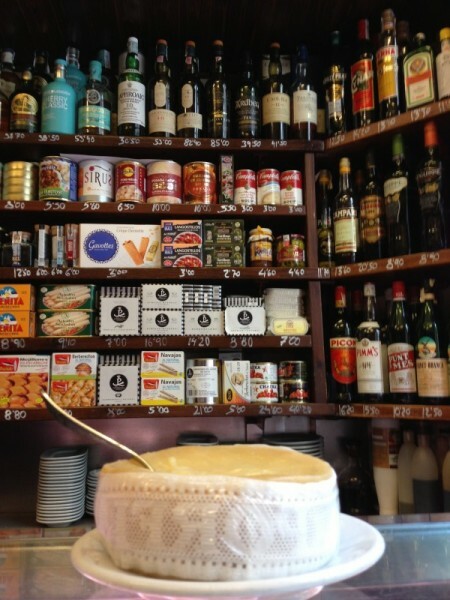 The prices are very affordable – for 10 Euro, you could have a full, high quality meal to yourself. If you want to take some sauces or canned goods home, which you can ask about, maybe a little more. 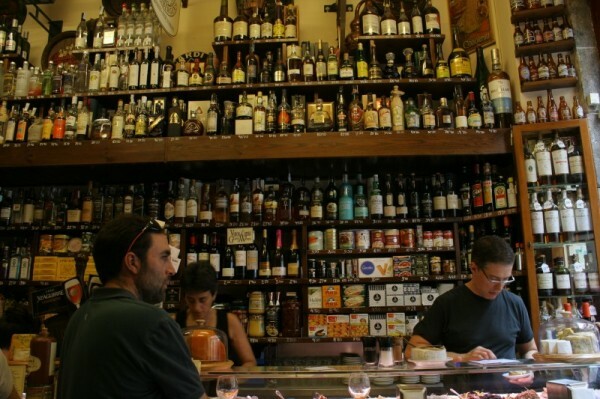 For anyone who is in Barcelona, I can’t recommend it enough! 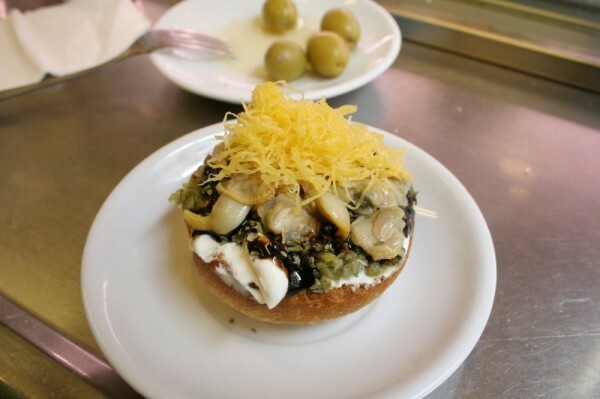 Tags: Barcelona, Casual, Champagne, Dinner, Lunch, Montadito, Parallel, Quimet e Quimet, Sea Urchin, Snacks, Spain, Tapas, Tapas Bar.